This chapter introduces the conceptual, theoretical and methodological framework of the book, with focus on cross-cultural medical interaction. It discusses medical cultures in colonial and imperial settings, in which conflict and hybridisation have been configured spatially and temporally in different ways, with multiple nexuses between healing and political power. 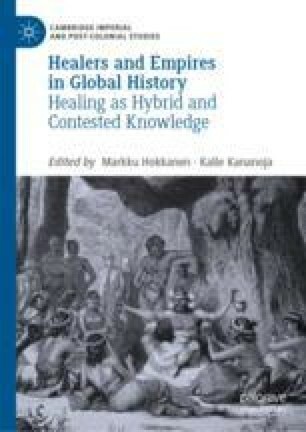 Bringing together histories of healing from Africa, Asia, the Americas and Europe from the seventeenth century to the late twentieth century, the chapter highlights longer-term, more every-day, and less teleological perspectives within history of medicine. Focusing on healers and patients, and on people and institutions of power, the chapter introduces new perspectives and methodological possibilities for histories of healing.